Join the conversation below as we discuss 7 Qualities of an Anointed Leader with Cherie Zack. 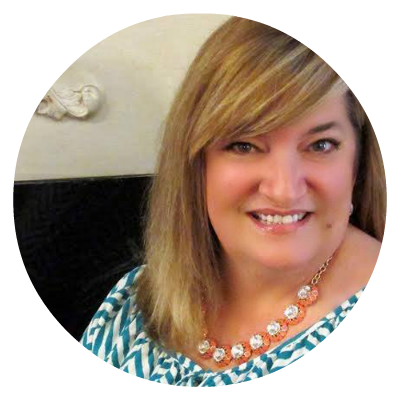 Cherie is passionate about this topic because she is a Wife Coach, Author, and Speaker. She is the founder of The Imperfect Wives Ministry and Marriage Boot Camp and is the radio host for Imperfect Wives Radio. She also recently served for 7 years as the District Women’s Ministry Director for the South Carolina District Council of the Assemblies of God before moving home to Florida in 2015. She is currently serving as women’s ministry director for the women’s department at Holt Assembly where her family attends. She has a counseling degree from Liberty University and has been coaching wives on how to save their marriage for more than 10 years. Cherie and her husband Bill have been married for 23 years and have 4 children and 1 precious granddaughter. Ladies, I’m so looking forward to chatting with you! Grab your coffee, register for this workshop and let’s start the conversation. Sweet friends, Session 1 should hit your inbox this morning! Sessions 2-7 will arrive every three days to give you time to process. I’m excited to hear your thoughts and how God is stirring your hearts with each session. Let’s talk! Leave me a comment here and let’s chat! I am enjoying the lessons. Thank you and may God continue to bless your ministry. My greatest challenge. Wow, I have so many! But I guess the first is that I’m not so sure I’m leading, except that everyone who has any kind of human contact leads to some degree. Beyond that, I would say demands on my time are a challenge. It’s so easy to say “I’ll write those thoughts on my heart into a blog post later.” And later never comes and the thoughts fade. Sometimes I am faced with the question, “Is this something I need to share, or is this just for me, because it’s not useful to anyone but me.” I’m thinking that’s probably a question from the enemy. We women aren’t all that different. If God is showing me something, healing me in some way, then chances are, there is someone out there who needs the same thing. Finally, because I write a lot about depression, I’m not sure how I can actually lead or teach. I’m not medically qualified to speak about depression. I even had a christian therapist tell me it’s irresponsible to write about depression with no connection to the reader or way to discern if they need medical intervention. And she might be right. But then I wonder, is it not OK to simply share what I’ve learned, keep pointing people to Christ and the hope he offers, and why would I have been given a spirit of openness if not to share my story? OK, so that was probably a much longer comment than you’re looking for. I’m looking forward to connecting with you all here. I was just asking God for a community of like-minded woman and he graciously delivered! Hi, Beth!! We are so glad you’re here. I love your humble heart. Time is a challenge for all of us and something that is worthy of a conversation. When faced with the question about sharing, a good rule of thumb to go by when questioning what to post; If you are questioning posting something, you will find that someone needed to hear what you are learning. I’m encouraged to hear you that you are writing about depression, especially if you’re writing from your own life and heart. When people are learning how to deal with something and winning, we want to know about it. If I have a choice between a doctor and someone who is actually fighting my struggle and winning, I want to hear from you first. Depression is worldwide and medication isn’t always the best answer. Thank you, Beth, for sharing your struggles and thoughts with us. You are leading women. If you have readers, you are in a position of leading others. These are great topics for conversation. I hope our other ladies will jump in as well. The greatest challenge I seem to come up against time and time again is the challenge of Self Doubt. Words like, loser, stupid, no one likes you, who do you think you are, are just a few that come at me from every direction. The other challenge I have and when I know the enemy of my soul is out to get me, is when I feel pushed instead of lead. When I feel I must do all by myself is when I know the enemy is after me. I sit quietly, unplug the phone and disconnect the TV and just let the Spirit of God lead me where He wants to take me. The enemy will try to distract me with thoughts of worthlessness and this is when I ask God the Father to reparent me in His way. I used to question what God’s will was for my life, how can someone who is so ‘stupid, loser or unlikeable” be doing God’s will. What I came to realize, is when I feel like I am being beaten up spiritually is when I KNOW I am doing God’s will otherwise why would the devil bother with me? I feel so grateful that the Spirit has shown me this so I know then to take it to God, cast satan behind me and quote scripture to recapture my balance with Spirit. I have loved reading the past two lessons on Patience. I too have often prayed for patience and I hear my mother say, oh never pray for patience. Isn’t it funny that that is what I remember? Isn’t it funny how those of influence over our lives can stifle the super natural growth that God would want for us? Now I must pray for patience daily. This is a virtue I have not really embraced in my walk with God. I loved how you unpacked what the Holy Spirit had said to you, that without patience we can not know all the other virtues that love is. We cannot honor, we cannot not be self serving. I am so impatient with myself and my business, that I am in a hurry. When I am in a hurry, I ALWAYS miss what God has for me. Then I have to circle back around to get the nugget. I am working on cultivating patience so that I may show grace, love, kindness, honor not only to others but to myself. I love these lessons. Thank you for sharing them. Debbie, your comment made my heart leap! Thank you for adding your voice to this conversation. Yes.. the ones we love can stifle and even change our direction. It happens so subtly that we don’t even realize it. I’m excited that God is using this small offering of mine to minister to your heart. He is so faithful to us. I’m honestly not that smart. If anything good comes from me it is always the Lord! Love to you sweet friend! 1. Respect and worship for our God: “Our Father in heaven hallowed be thy name.” Lord, so often I think of you glibly. I hold you like a friend that I take for granted. Please help me remember the glory of you daily!! 2. The reason for my day: “May your Kingdom come, may your will be done,” Lord, may I listen with my Spiritual ears to hear what you would have for me this day and then go about doing it. 3. My Requests: “Give us today our daily bread.” You know the desires of my heart and I will trust that you will give them in appropriate measure and at appropriate times. Thank you for my daily portion. 4. Repentance and cleansing: “Forgive us our sins.” Forgive me for so much today Lord. Forgive me when I doubt, forgive me when I curse you, and forgive me when I mistrust all you have given me. Bring me always to the foot of the cross. 5. Reconciliation with others: “As we forgive those who sin against us.” Father, forgive me for holding so much resentment, anger and unforgiveness in my heart toward so many. Forgive my inability to not forgive those who have wronged me. Truly, help me be like you. 6. Recognition of my weaknesses: “Keep me from temptation. You know Lord that I am weak and filled with my flesh and I can be all over the place. Please forgive me when I jump from one feeling to another thinking this is it. Help me recognize my feelings and acknowledge them but to know they will change but you are the only constant. 7. Reliance on God’s power: “but rescue us from the evil one.”Thank you Jesus that you have rescued me from ALL evil and you have bought me for a price and that I am saved from the evil one. 8. Recognition of God’s authority: “the power and the glory forever!” Help me remember that you can move mountains and part seas. That your power and glory is beyond what my human eyes can see or what my human ears can hear. 9. Response to God’s will: “Amen.” I will fervently listen for your voice in my heart that I may do you justice today in my words and actions. That I will listen just as good as I speak.